It’s a condition that can cause heartbreak and worry in a parent. It’s also a condition that responds well to chiropractic care. 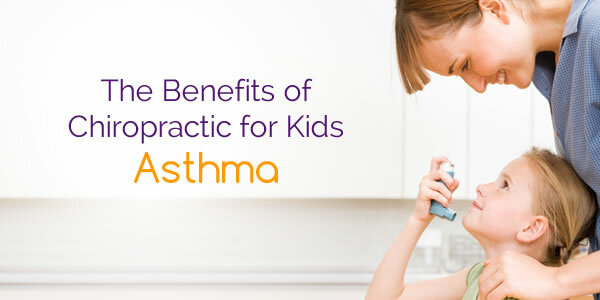 Numerous studies have demonstrated the effectiveness of chiropractic care in the treatment of kids with asthma. Of course, chiropractors don’t need to rely on studies to know how well it works. We have the opportunity to see the results firsthand! Consistent adjustment of these areas will yield great rewards: a gradual decrease in symptoms and the eventual removal of the condition. If one of your kids suffers with asthma, please don’t wait a minute longer to correct the problem. The treatment is gentle and safe, and your child will reap the many benefits of a life without this condition. I went to see Dr. Elliott for a migraine headache that I had for two years. He adjusted me and took my asthma and allergies as well. When I saw I was cured, I took my son who suffered from asthma as well. He cured my son in one visit. And to think, of all the money, time, and medication I took prior to not knowing this option was available. Thank you, Dr. Elliott! God bless you!